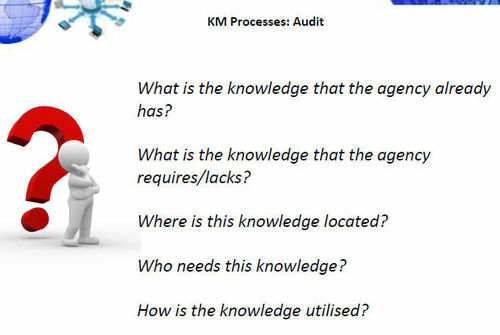 Knowledge management (KM) is the process of capturing, developing, sharing, and effectively using organizational knowledge . 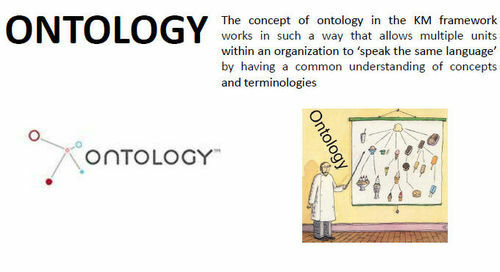 It refers to a multi-disciplined approach to achieving organizational objectives by making the best use of knowledge. 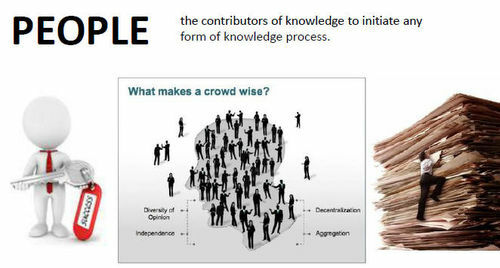 Knowledge Management Framework? 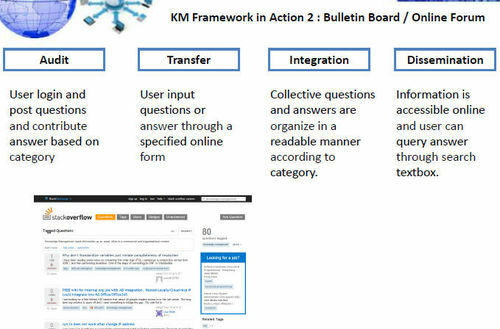 KM framework is a representation of the inter-dependent KM processes that are influenced by critical success factors as enablers of high synchronicity, thus ensuring successful KM implementation and the achievement of the targeted objectives of the KM initiative. 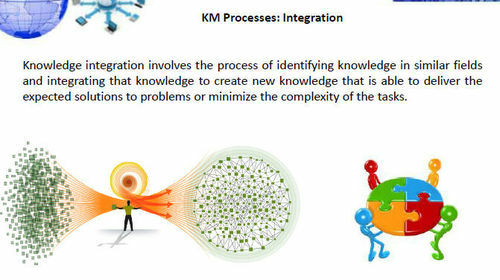 Knowledge management systems refer to any kind of IT system that stores and retrieves knowledge, improves collaboration, locates knowledge sources, mines repositories for hidden knowledge, captures and uses knowledge, or in some other way enhances the KM process. • Processes: Joint sensemaking and crowdsourcing. Opening vertical knowledge exchange for organizational learning. 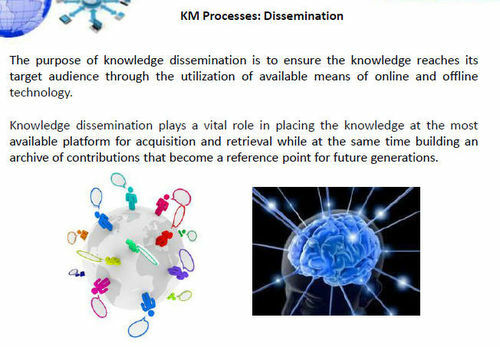 • KMF govern the development of knowledge management system. • There are many implementations and available tools of KMS that have different functions and features. • The simplest form or the core of KMS is the development and manipulation of databases. 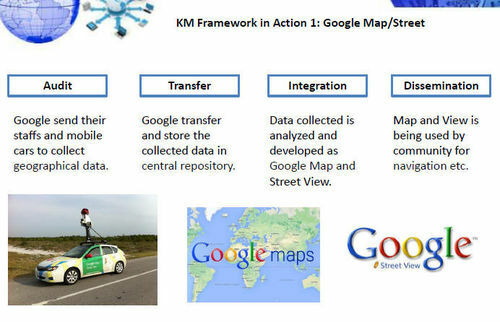 • Advancement in KMS is intelligent KMS which has the ability to analyze and ‘think’ by extracting knowledge from existing data (making sense of data).